When most people think of school lessons they think of those big heavy looking wooden benches that you see in design & technology classes. However with more and more practical subjects being added to schools curriculum it means that there are more and more different types of workbench you will see appearing in schools up and down the country. And with that in mind we are going to give you a breakdown on the different types of workbenches available to you. A wooden workbench is traditionally used for woodworking. It is great for holding pieces in place at a comfortable height while they are being worked on by other tools. Not only are wooden benches extremely durable but they will last for years and years, meaning you will be saving money in the long term. These are great for art classes, woodworking or design and technology classes. Stainless steel workbenches are ideal for hygiene sensitive areas due to the non-corrosive properties that stainless steel has. Not only are these types of benches sturdy they are extremely strong as well. These benches are ideal for food preparation or use for wet areas or where chemicals are used. Assembly workbenches are perfectly suited to light engineering work. They are able to hold up to 250kg in weight on the work surface and can be accessorised to suit whatever your requirements are including extra shelving, drawers or back panels. Would be ideal for garage workshops and assembly. 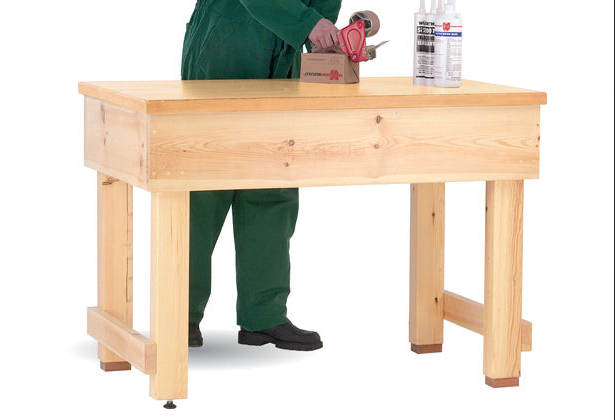 Electronics workbenches are great for assembling electronic parts offering great stability and height adjustable. Again great for Design & Technology classes, and electronics classes too. ESD workbenches are anti-static making them great for working with parts that are sensitive to static build up. Not only that but the ESD worktop will last you years and years meaning it will save you money in the long run too. These benches work with a range of accessories too. Ideal for light-engineering work as well as design and technology classes. At ESE Direct we supply a large range of workbenches to suit a variety of requirements, and we have just introduced a workbench bundle kit meaning you won't have to spend hours trawling through accessories to buy with it. For a full range of products for schools and other education establishments you may like to take a look at our education section. If you are interested or have any questions, you can contact our friendly sales staff on 0808 163 3704, or speak to them on Live Chat!